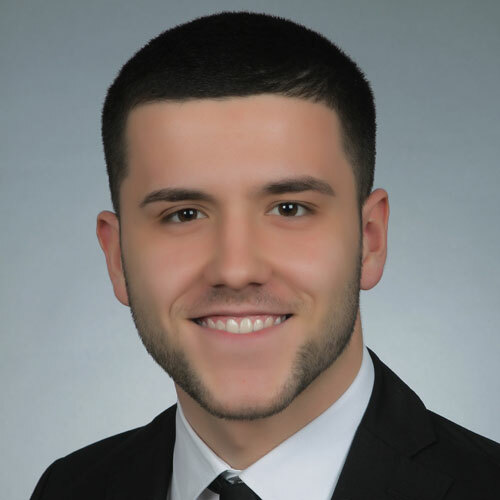 Florim Mjekiqi has been working as a Business Intelligence Consultant since 2015. Previously, he had completed his dual studies in Business Informatics from 2012-2015. His current activity includes advising customers in the BI environment as well as the technical implementation of these BI projects. In doing so, he has built up a solid and profound know-how in the Microsoft BI and Cubeware Reporting environment. In his projects, he places special focus on customer requirements. The project and the communication are presented to the customer in a transparent and open manner, so that all process steps are coordinated together and logical comprehensible. The analytical and structured way of working completes the project completely. 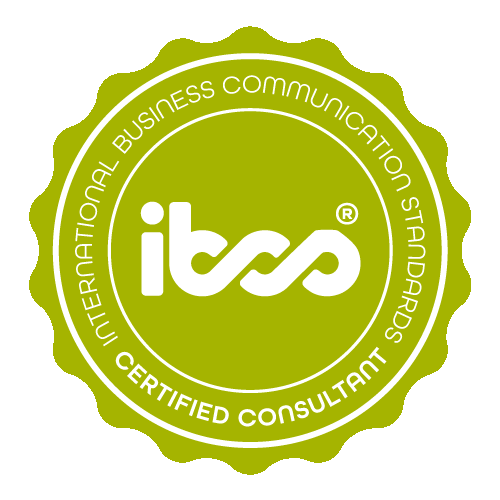 Florim Mjekiqi has successfully completed the IBCS® certification for successful design of reports and presentations at the HICHERT+FAISST IBCS Institute in May 2018. Sales by product group This Sales Dashboard, which was created with the Cubeware Cockpit C8, shows all generated sales of the individual representatives by product groups, as well as an aggregated view of all representatives. 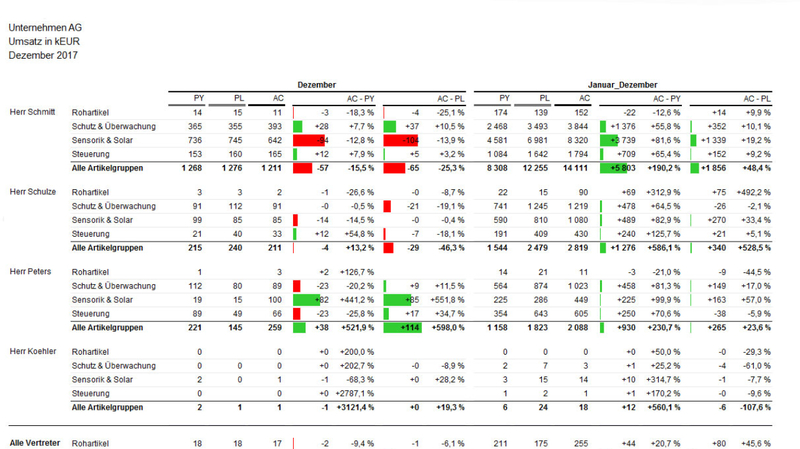 Previous year's values, planned values and current values were used. In addition, absolute and relative deviations between the previous year and actual values as well as the planned and actual values were visualized. 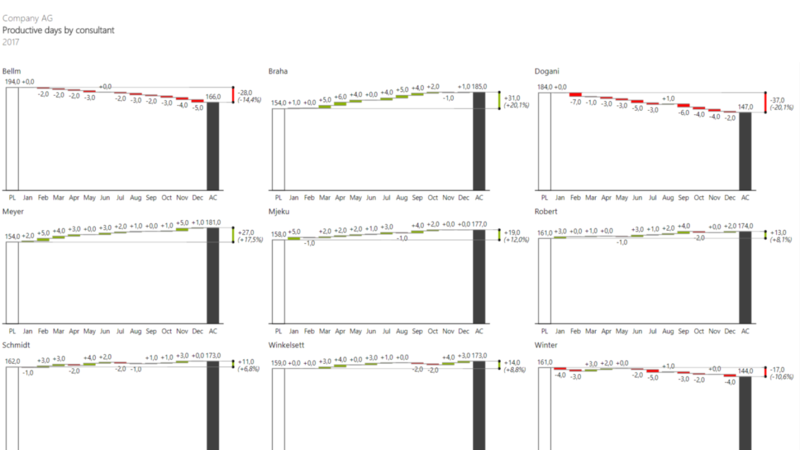 Productive days by consultant This dashboard was built using Power BI and the imported Zebra BI visualization types. The plan and actual values (productive days) of consultants are displayed at month level in individual graphics.